A commercial move requires careful planning in order to minimize downtime and ensure your staff doesn’t get overtaxed. There’s also that little matter of making sure your business keeps running even while planning for the move. 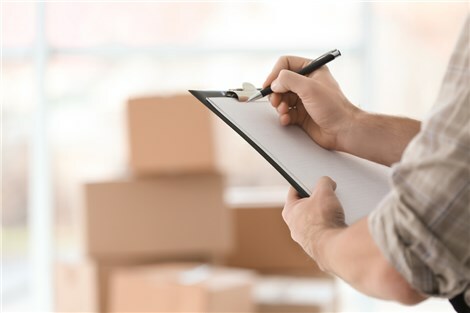 The professionals at Mountain States Moving & Storage have completed thousands of business relocations, and we know it’s easy for business owners to forget some important details. In addition to packing, purging, and space planning, there are some smaller details that are easy to overlook. This simple checklist will help you handle these oft-forgotten moving-related tasks. One mistake we’ve seen a lot is a business owner expecting his staff to handle all the moving prep while also keeping up with the regular daily tasks. It’s not fair and, in most cases, it’s not possible. Instead, hire reliable Salt Lake City commercial movers who can handle some or all of the moving details. This way your staff can oversee the move while still having time for their normal work. Another way to keep up staff morale is to not keep things a secret when there is no reason to do so. In some cases, the move may be confidential until right before it takes place. Most of the time, however, there is no need for that. Have an announcement meeting with your staff once the moving-day is decided, and provide a way to keep them informed as the day draws closer. If you’re moving to or from a building with elevators, you’ll need to reserve one well in advance. If you don’t, you’ll have to share the elevator with other users rather than being able to stop it for as long as you need while loading and unloading. Inform vendors and customers of your impending move via email and snail mail notifications. It’s also a good idea to call your most important clients to deliver the news over the phone. If you do advertising on TV or in print, use can also use some of your ad time or space to announce the move. As soon as the new address is set in stone, order new business cards, stationary, and other print materials. It looks very unprofessional to use printed materials with outdated information. Order your materials ahead of time, so you can start using them immediately after the move. You’ll also need to update your digital presence, including your website, social, email footers, etc…, with your new address and phone numbers. Even if you plan to have staff do most of the packing, you should still hire a trusted moving company for fragile, expensive, and oversized items. Since 1964, Mountain States Moving & Storage has provided exceptional, cost-effective moving services. Our Salt Lake City commercial movers are trained to disassemble office furniture, properly handle IT equipment, and more. Whether you hire us for full-service moving or just to do the heavy lifting, we have Salt Lake City commercial moving solutions to suit any business. Contact us today to learn more, to reserve your moving date, and to receive a free moving quote. Call Mountain States Moving & Storage, or fill out our online form to get started.